Prairieland Punishers Roller Derby Bringing Hard Hits and Fast Action April 27th! Decatur’s premier women’s roller derby league, the Prairieland Punishers, is returning to the Decatur Civic Center with two games on Saturday, April 27th. The Punishers’ A and B teams, the Allstars and Backlash, are taking on the South Shore Roller Girls of Hammond, IN. This is the first time the two teams are facing off. Doors will open at 4:00 p.m. with the first whistle at 5:00 p.m. The family-friendly event is the first home game of this season, with two more scheduled for May 25 and June 22. 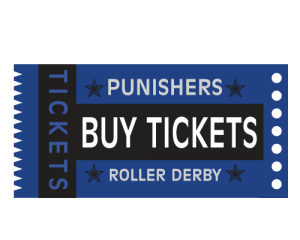 Single game tickets are $15 for VIP, $10 for general and $5 for children and available at Giggles, The Bourbon Barrel, and online at: www.punishersderby.com. Prices increase by $5 at the door. All children 5 years & younger get in free! Proceeds from all home games this year will benefit Girl Scouts of Central Illinois, as selected by fans in an online poll in March. The Punishers have donated over $30,000 to area charities since their inception in 2011. 2019 looks promising for the Punishers, who finished last year’s season 5-2 overall, 3-0 at home. Taking the track this year is a record number of returning skaters, derby boot camp graduates, and transfers from other leagues. The Allstars are off to a strong start, capturing their first win at an away game against St. Chux Derby Chix on March 30th (Final Score: 280-76). Established in 2011, the Prairieland Punishers Roller Derby is dedicated to promoting health, wellness, fitness, training, competition, self-growth, community outreach, and sisterhood. A Women’s Flat Track Derby Association (WFTDA) member since 2016, the Punishers currently rank 247 out of 470 member leagues worldwide. Anyone interested in getting involved with the league as a skater, volunteer, or sponsor is encouraged to visit punishersderby.com or email info@punishersderby.com for more information. Help choose our 2019 charity partner! Tickets for 4/27 Double Header Available Now!